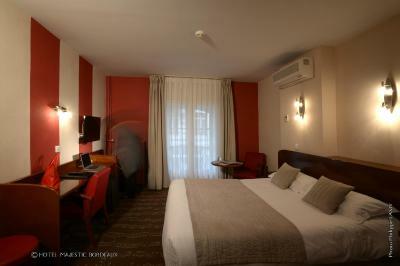 Lock in a great price for Hôtel Majestic – rated 8.6 by recent guests! Very conveniently located to lots of attractions, mostly by walking and tram. Very modern, very clean, very well located, couldn’t wish for anything better! Good breakfast too! Claudia, who worked the front desk, was a gem. Very friendly, helpful, patient-- everything someone working in the hospitality industry should be. Our room was surprisingly spacious with a balcony. The location was ideal. Near public transportation, and walking distance to the main sites and loads of restaurants. Staff is very friendly, helpful and considerate. The hotel is very comfortable, breakfast is nice with a good selection to choose from. We were in Room 406 - an excellent suite. The hotel is close to all the Bordeaux tourist highlights, restaurants, Quais and tram link but is on a quiet cross street. Perfectly situated, near the main areas, Opera, shopping, restaurants without being subject to the oft time loud street noise. Staff was very nice and very friendly too. The room surprisingly sizable and quite comfortable. The hotel is in a fantastic location for seeing Bordeaux. The staff was very helpful and the rooms were very comfortable. Breakfast was nice. Near some very good restaurants. The shower was the best ever at a hotel, particularly a 3-star one. The bathroom was very roomy. The staff went out of their way to be helpful. 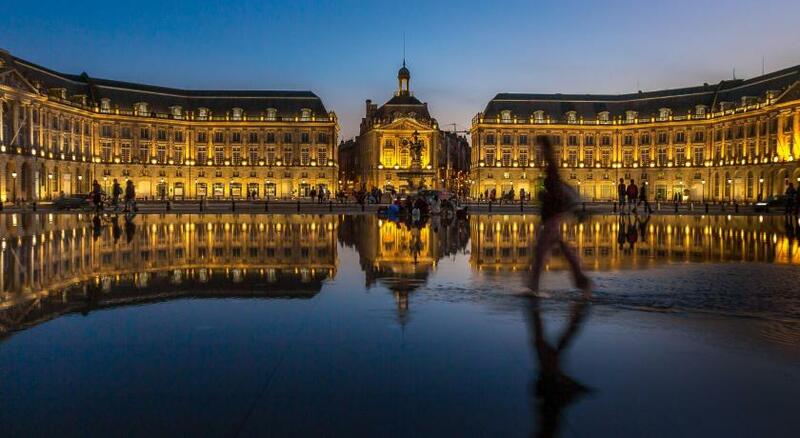 Set in the heart of Bordeaux historic district, Hôtel Majestic is just 50 feet from Grand Théâtre de Bordeaux and Esplanade des Quinconces as well as 350 feet from the Water Mirror. 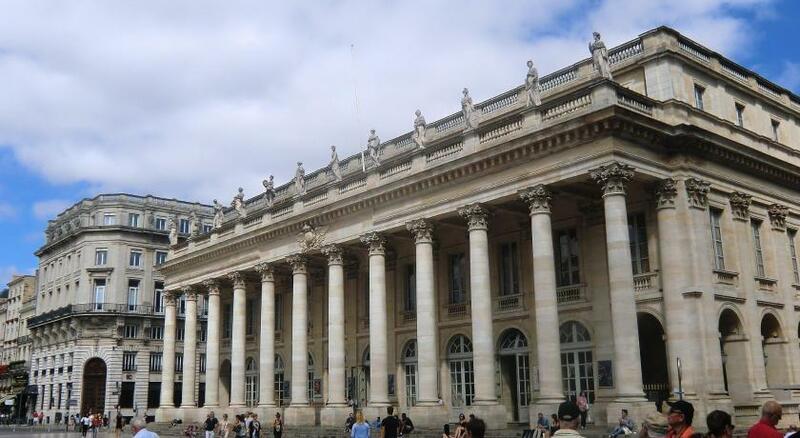 Place de la Bourse and Quinconces tram stops are located within walking distance from the hotel. All the air-conditioned rooms and apartments feature an elegant décor and come with a flat-screen TV. The private bathrooms are fitted with free toiletries and a hair dryer. In the morning, breakfast can be served in the comfort of the room and guests will find various bars and restaurants nearby. Other facilities offered at the property include a 24-hour front desk, luggage storage, and newspapers. 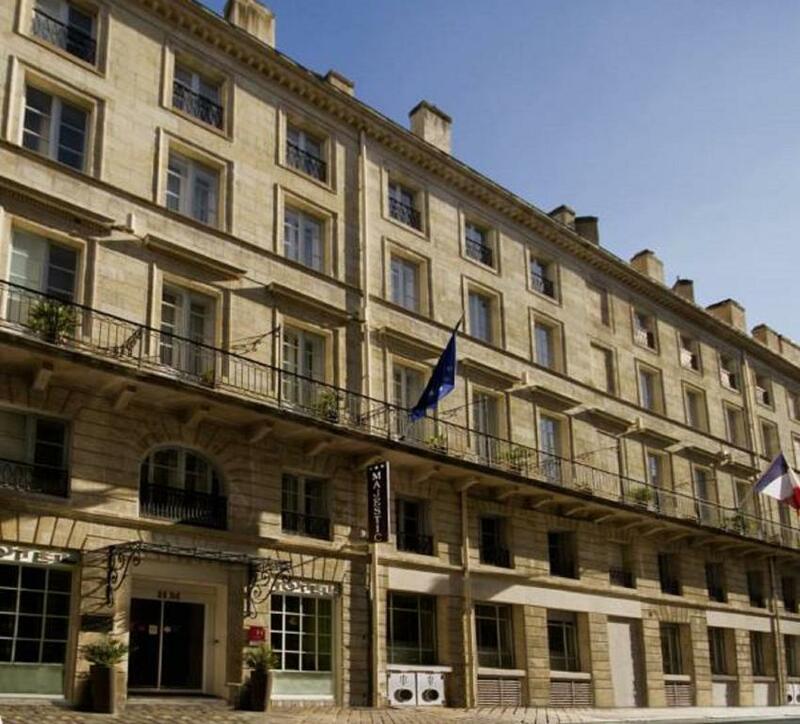 Hôtel's Majestic's location makes it an excellent base to explore Bordeaux as well as the region with St Emilion and Margaux located less than 1 hour drive away. 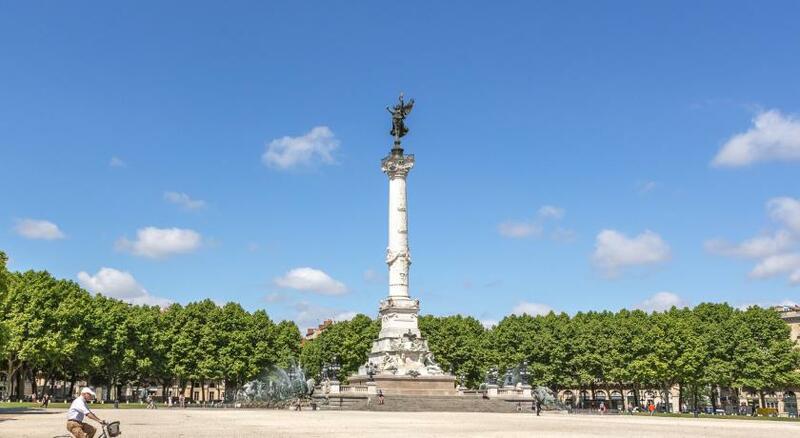 The nearest airport is Mérignac Airport, 6.2 mi from Hôtel Majestic, while Bordeaux St Jean Train Station is located a 15-minute tram ride away. When would you like to stay at Hôtel Majestic? This double room features a satellite TV, tea/coffee maker and mini-bar. 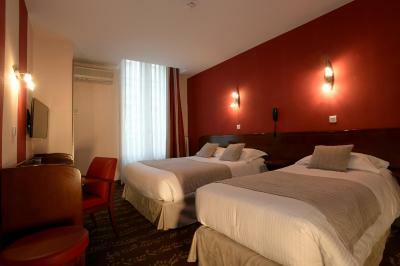 This twin room features air conditioning, satellite TV and tea/coffee maker. This family room has a tea/coffee maker, electric kettle and mini-bar. This suite features a bathrobe, spa bath and tea/coffee maker. This apartment has a bathrobe, stovetop and mini-bar. 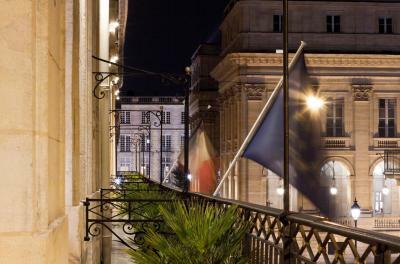 In the refined environment of a 18th century building, this charming hotel offers you 47 air-conditioned bedrooms, each with its own specific decor, a flat and a suite (Wifi access, TV, mini bar, safe, hair-dryer). A private garage is also available for the guests (upon reservation). House Rules Hôtel Majestic takes special requests – add in the next step! Hôtel Majestic accepts these cards and reserves the right to temporarily hold an amount prior to arrival. It’s too old and everything is used. The location is perfect. Just in the center of the city. Fantastic location, gentle stroll down to the river and close to many of the main sites. 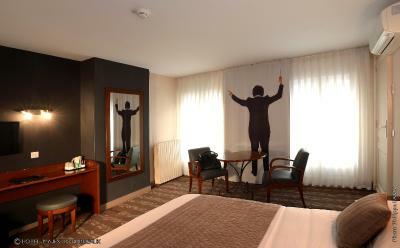 Room was super comfortable and the staff very helpful. 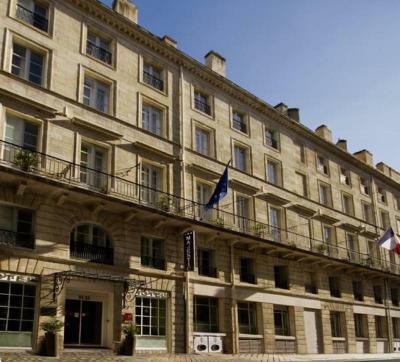 The location of the Majestic is excellent right in the centre of Bordeaux. It is close to all the main attractions in the city and shopping/restaurants all very close also. Location wise it's ten out of ten for us. Staff on reception were all very good & welcoming also. The only slight negative for us was the lighting in the bedroom, too dark, no central light in the room. However, overall a very enjoyable stay for us. Would stay again in this property definitely so 9 out of ten is the score from us. Regards, Aidan & Elt. I chose it because it’s advertised that parking is onsite (paid), however, it’s very limited and soon after I made the reservation they responded that it won’t be available on my date. However, the rest made up for that detail and the staff helped us at check in/out load & unload and park nearby! There was an odd slight step down right inside the room door, a single very old style room key, no bidet, no vent in the bathroom, a tiny almost useless safe and somewhat limited storage in the room. The car key must be left at reception while the car is in the garage and the Wifi wants too much information to gain access. The hotel lacks atmosphere and was almost eerily quiet. But I'm not sure if this is really a criticism. the location was excellent being next to the Grand Theatre and Quinconces. The room was spotless and recently decorated. The hotel was quiet and so was the location even though it is so close to the centre. Lovely Hotel in the centre of Bordeaux. The location, the fantastic staff. The comfortable beds.